Short courses, specialist training and continuous professional development. Trinity Laban’s Learning and Participation (Dance) department keeps the Laban Building’s doors open for those wanting to maintain dance as a hobby and to advance the experience of dance teachers, practitioners and artists at various stages of their careers. Throughout the academic year, classes are held in ballet, contemporary, street dance, contemporary jazz, Pilates and yoga. Freelance artists lead imaginative sessions that aim to stretch not just participant’s bodies but encourage healthy lifestyles and well-being. Whilst at college, Nick attended the ballet sessions hoping to catch up with the fundamentals of classical technique in a safe environment. Now he has taken part in contemporary and contemporary jazz classes to gain inspiration for his own teaching practice and to stay in shape. It is a great opportunity for adults to come along and enjoy street dance in a fun and creative way. Last term we created a whole routine to Uptown Funk. There is always a lively atmosphere in the class and everyone is very welcoming. 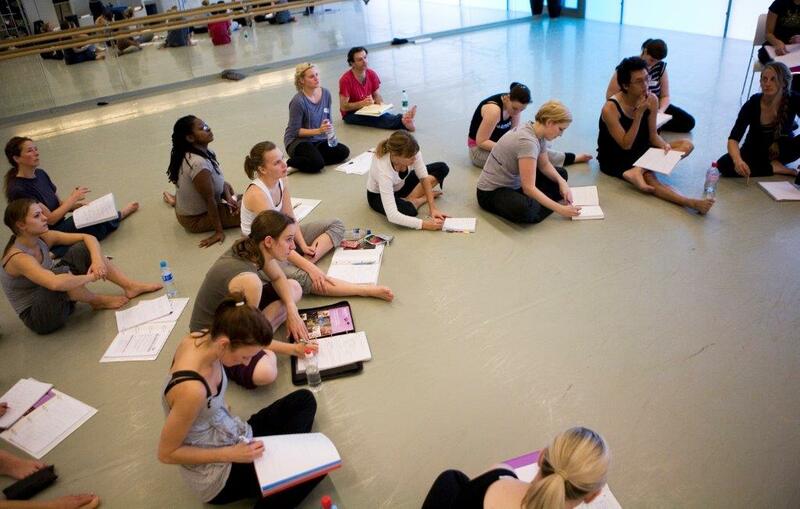 Visit the Trinity Laban blog for a post about the class from one of the participants! There are still spaces for the next block of Adult Short Courses, which start back week commencing 6 June. You also still have time to book onto the Dance Summer School and Recreation Week. New to the Dance Summer School are classes with Hofesh Shechter Company and Barre a Terre. You can also explore Choreological Studies or develop your teaching practice with Teachers Choice classes. Whether you’re an enthusiastic beginner looking to develop your skills or a professional dancer, the Dance Summer School offers a range of levels and classes to meet your needs. You can tailor your summer school experience from a timetable that offers a lot of choice; core techniques in Contemporary, Ballet, Jazz and other movement practices such as Choreography, Physical Theatre, Contact Improvisation, Yoga, Pilates, Feldenkrais, Street Dance and Flying Low. The Recreation Week is a 5 day course for participants to practically investigate and embody the themes in Rudolf Laban’s Green Clowns (1928) and Nacht (1927). The course is led by dance artist, leading exponent of Rudolf Laban’s dance theatre work and specialist in Choreology from Trinity Laban’s Faculty of Dance, Alison Curtis-Jones. The course programme includes a daily contemporary technique class informed by Rudolf Laban principles and choreological perspectives. These skills will be used creatively within an improvisational framework to re-create sections from both Green Clowns and Nacht. Don’t be worried about previous experience as Trinity Laban welcomes people from all backgrounds and disciplines aged 18+.You could be a dancer, actor or teacher, theatre director or movement facilitator. This course will develop participants’ knowledge and understanding of choreological practice, which may enable you to apply for the Specialist Diploma in Choreological Studies: Contemporary Developments in Rudolf Laban’s Principles and Practice. The vocational diploma is offered as a part-time course over three years and supports existing and emergent artists and educators working in the movement industries in achieving competency in the practical exploration, experimentation and application of Choreological Studies. Coming up in May as part of the Specialist Training Days is Safe and Effective Dance Practice and the Healthy Dance Practice Certificate on 16/17 May, as standalone days and 20 June for those completing the Certificate in Healthy Dance Practice. The May weekend covers key safe practice issues in dance teaching and opting for the three day courser offers the opportunity to take the new Certificate awarded by Safe in Dance International. Visit the website to book your space onto these days. To add to this range of continuous professional development programmes, opportunities are additionally organised by Katy Pearce, Projects Manager, to tie in with school outreach projects, as a way for teachers to come together and develop their practice. These CPD events encourage constant discourse about current strategies within dance education or focus on a particular area of skills development. This is a great opportunity for teachers not only to share practice but additionally network amongst themselves, especially if the CPD session is run within a certain borough, so they can also establish links with other local schools. It is also positive to see teachers from other curriculum areas, for example Drama or P.E., engage with the sessions in order to support and strengthen the dance delivery within their subject areas and help them to understand the wider picture of what is on offer for their students and how they can signpost them to further activity. The CPD sessions are held across London, including at the Laban Building and in Tower Hamlets and Lambeth. Next month Nick will be going into detail about the work the L&P (Dance) Department delivers for older people, with their programmes that are exclusively for over 60s. There will also be more information about some of the other health-based and community projects led by the Department.